Rebecca Keller, MD, is a maternal fetal specialist at MedStar Franklin Square Medical Center. 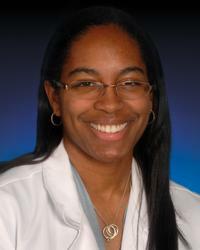 She earned a medical degree from the University of Pennsylvania School of Medicine before pursuing a residency program with concentration on obstetrical and gynecological care at MedStar Franklin Square, followed by a fellowship in maternal-fetal medicine at the University of Connecticut School of Medicine. Committed to optimizing women’s health and obstetrical outcomes, Dr. Keller has contributed to several research projects that emphasize the potential for early detection and diagnosis of placenta accreta, and infections that can impact pregnancy as well as the labor and delivery process. Dr. Keller is a diplomate of the American Board of Obstetrics and Gynecology, and is a member of the Society for Maternal- Fetal Medicine, the American Institute of Ultrasound in Medicine and the American Congress of Obstetricians and Gynecologists.